Bladder stones can form in dogs just like they do in humans. The stones themselves (uroliths or calculi) can be described as rock-like collections of minerals that form in the urinary bladder. They may occur as a few large stones or as collections of multiple small stones. Some patients with bladder stones show no signs of any kind and the stones are discovered incidentally but there are some changes that might promote a search for stones. Bloody urine, straining to urinate or an increase in the frequency of urination are the main signs. What signs indicate your pet may have bladder stones? Haematuria occurs because the stones irritate and damage the bladder lining causing bleeding. Dysuria and pollakiuria occur when stones inflame and irritate the bladder walls, causing pain and swelling. A rare but life threatening sequel to stone formation in dogs is the potential for partial or complete obstruction of the urinary tract. This can occur as stones attempt to make their way out the bladder with the urine and get lodged in the urethra. When an obstruction occurs, a dog will show signs directly related to the inability to pass urine (constantly straining) as well as systemic signs associated with not being able to void the urine. These include lethargy, lack of appetite and vomiting. When the bladder cannot be emptied, not only is it painful but toxic products which are normally excreted in the urine, build up in the blood stream and can result in damage to the kidneys. A blocked bladder can also end in rupture of the bladder and urine entering the abdominal cavity. It is therefore imperative that the patient be seen as soon as possible if this is suspected. Why do bladder stones form? Increased or high levels of minerals (eg calcium, magnesium and phosphate) within the urine to allow supersaturation and precipitation of crystals. These crystals stick together and stones gradually form, over time increasing in number and size. Abnormal metabolism of various minerals by an individual dog. Some breeds are more prone to this (eg Dalmations and the formation of urate uroliths). How fast do the stones grow? Bladder stones can develop in a period of weeks to months. Speed of growth will usually depend on the quantity of crystalline material present and the degree of infection present. Although it may take months for a large stone to grow, some sizeable stones have been documented to form in as little as two weeks. How are bladder stones diagnosed? The symptoms of bladder stones are similar to those of an uncomplicated bladder infection or cystitis. Most dogs that have bladder infections do not have bladder stones. Therefore, we do not conclude that a dog has bladder stones based only on these common clinical signs. Some bladder stones can be palpated (felt with the fingers) through the abdominal wall. However, failure to palpate them does not rule them out. Some stones are too small to be felt in this manner, or the bladder may be too firm to allow palpation. Most bladder stones are visible on radiographs (x-rays) or a bladder ultrasound examination. If your veterinarian suspects bladder stones, one or both of these procedures will be recommended. They should be performed on dogs that show unusual pain when the bladder is palpated, dogs that have recurrent haematuria and dysuria, or dogs that have recurrent bacterial infections in the bladder. Some bladder stones are not visible on radiographs. They are said to be radiolucent. This means that their mineral composition is such that they do not reflect the x-ray beam. These stones may be found with an ultrasound examination or with a radiographic contrast study, made after placing a special dye or contrast material in the bladder. There are two options for treatment. The most effective treatment solution is to remove them surgically by opening the bladder through an abdominal incision. Following two to four days of recovery, most patients rapidly improve. The haematuria will often persist for a few days after surgery before resolving. Surgery may not be the best option for patients that have other health concerns. However, dogs with urethral obstruction require surgery as soon as possible to minimise other complications. It is not successful for all types of stones. Stone analysis is necessary to determine if it is the type of stone that can be successfully dissolved. This may not be possible in all cases. It is slow. It may take several months to dissolve a large stone so the dog may continue to have haematuria, dysuria, and recurrent infections during that time. The risk of urethral obstruction remains high during this period. Not all dogs will eat the special diet. If it is not fed exclusively, it will not work. Can future bladder stones be prevented? 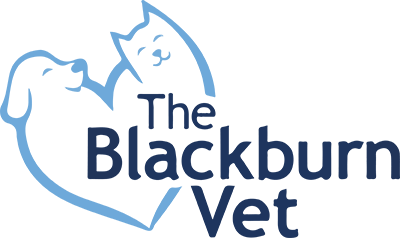 In order to minimise or prevent recurrence of bladder stones, it is important for your vet to know how or why the bladder stones have formed (if possible) and what the mineral content of the stones is. In some cases further investigation may be required, especially if a patient has had several bouts of infection to look for underlying diseases (such as diabetes). In general, diet is the first place we start to prevent recurrence of bladder stones in dogs - once the stones have been surgically removed or dissolved, then most types of stones can be prevented from recurring by adhering to a prescription diet. Changing the diet has a number of beneficial effects: it reduces the concentration of minerals that are an issue, alters the pH of the urine and in doing so creates a less hospitable environment for bacteria to grow. If your dog has had an episode of bladder stones, the important thing is to have regular vet checkups to ensure they are not forming again. This will generally require periodic urine analysis and occasionally repeat radiographs or ultrasounds.